Бинокль ночного видения ATN NVB5X-CGTI среднего - длинного диапазона для охоты. 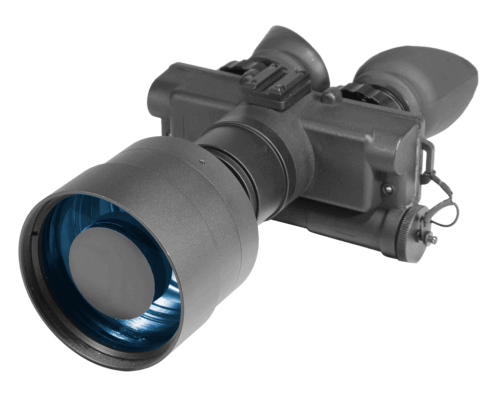 The NVB5 is a medium to long range night vision bi-ocular. The NVB5 have a wide variety of image tube configurations to choose from. It is a bi-ocular system with two eyepieces that lets the user comfortably look through the unit with both eyes. The NVB5 provides the user with solid performance in an easy to use format.